Students who attend full-day Pre-K start class at 7:40 a.m., and are dismissed at 2:55 p.m. Full-day Pre-K is offered at 13 campuses; Anderson Mill, Berkman, Bluebonnet, Caldwell Heights, Callison, Double File Trail, Forest North, Gattis, Joe Lee Johnson, Robertson, Union Hill, Voigt and Wells Branch elementary schools. Half-day morning classes start at 7:40 a.m., and end at 11:15 a.m. Students who attend half-day during the afternoon start class at 11:15 a.m., and are dismissed at 2:55 p.m. Half-day pre-kindergarten programs are available at Brushy Creek, England, Herrington, Jollyville, Old Town, Pond Springs, Purple Sage and Teravista elementary schools. Find out more information on these qualifications or contact your campus. On July 8, parents or guardians should complete the new student online pre-registration information for the 2019-2020 school year. Child’s official birth certificate, immunization records (see roundrockisd.org/health for a list of required vaccines), proofs of residency in the Round Rock ISD school district (contract on house, lease agreement, actual title to house, current utility bill or current Round Rock ISD tax statement), child’s Social Security card (recommended, but not required), parent or guardian proof of income (two most recent pay stubs). If a parent or guardian is unable to attend a Pre-K Rodeo event, campuses will be processing student registrations during school office hours beginning Tuesday, July 23. Parents or guardians will need to visit the campus the student will be attending with the required documentation to finalize their child’s registration for the 2019-2020 school year. Round Rock ISD is proud to team with ReadyRosie to bring parents modeled moments designed to deliver valuable lessons into real life situations in an engaging way. Once registered, parents will receive a weekly playlist of videos that model fun activities with serious learning opportunities. The videos and activities are targeted to children ages 0-5 years old to instill both foundational learning and social skills. Round Rock ISD Pre-K teachers are also integrating ReadyRosie into the classroom setting and curriculum. 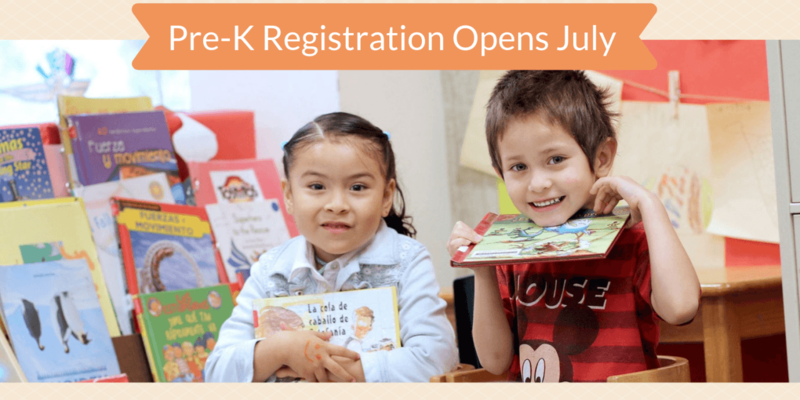 More information on Pre-K curriculum and campuses can be found on the Round Rock ISD Pre-K website.